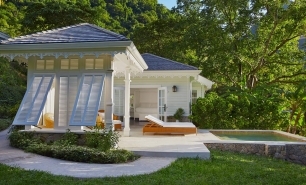 Sugar Beach, a Viceroy Resort, is a former Jalousie Plantation resort which reopened in 2012 following a three-year, multi-million dollar renovation. 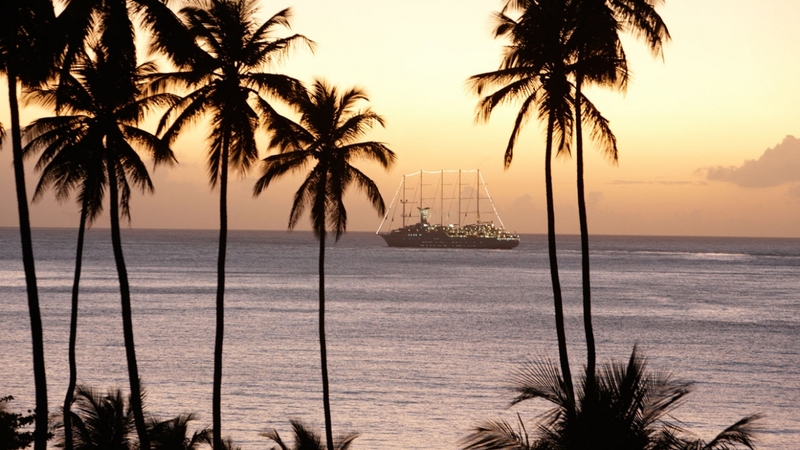 Sugar Beach is one of the most memorable locations in the Caribbean. 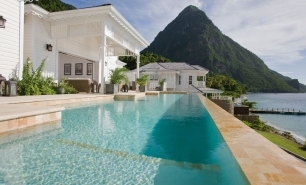 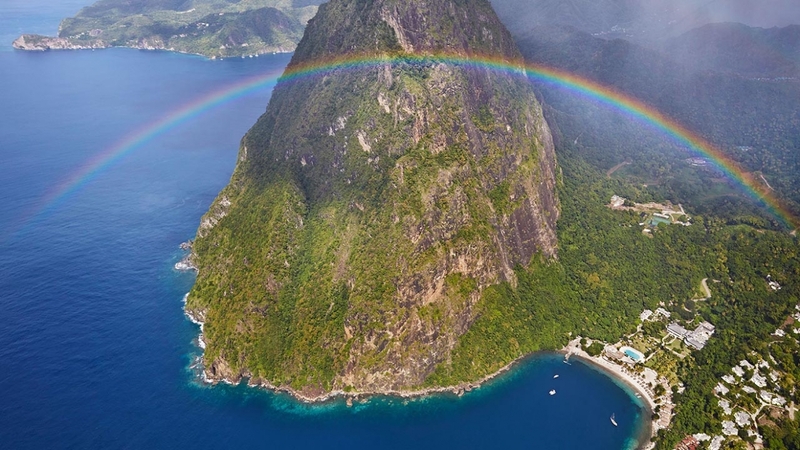 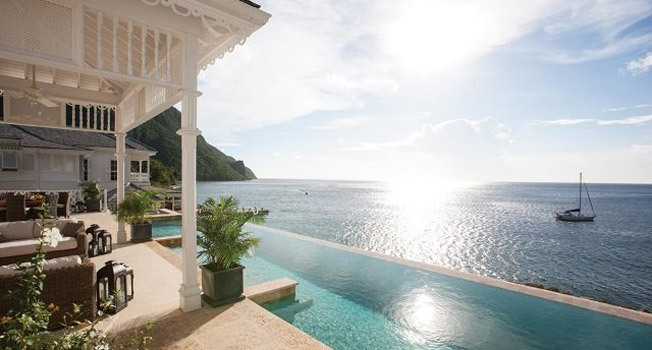 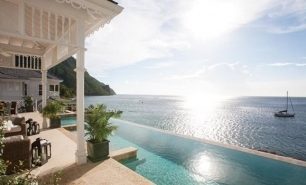 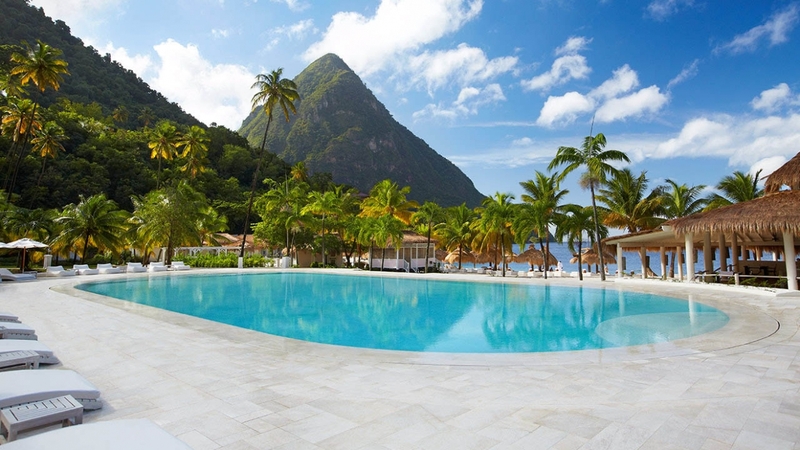 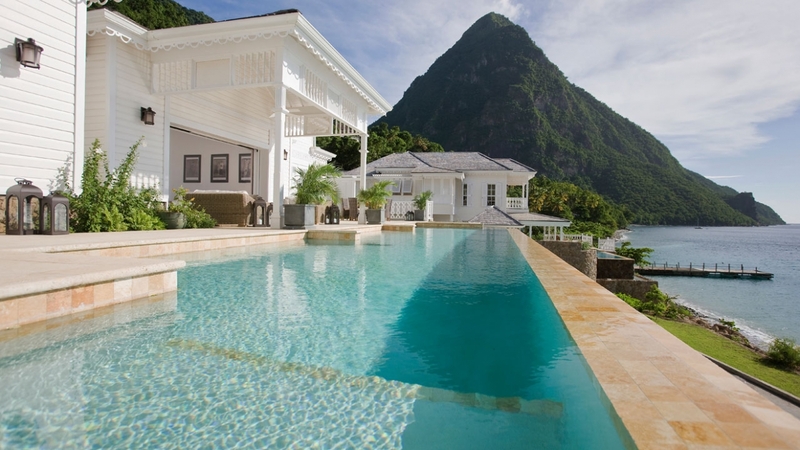 The resort is set on 100 acres of rain forest with direct beach access and overlooks Sugar Beach, the Caribbean, and St. Lucia’s twin Pitons, a UNESCO World Heritage Site. 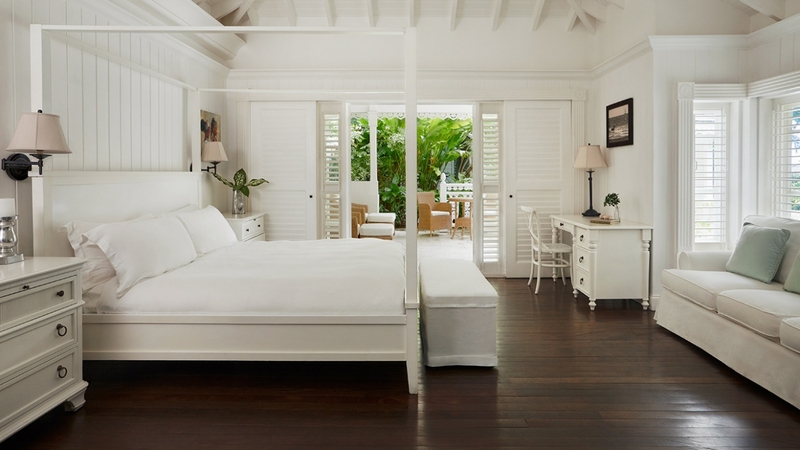 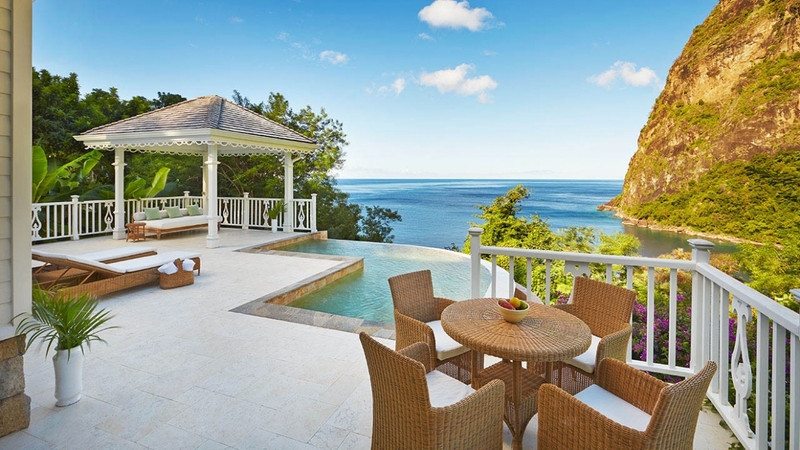 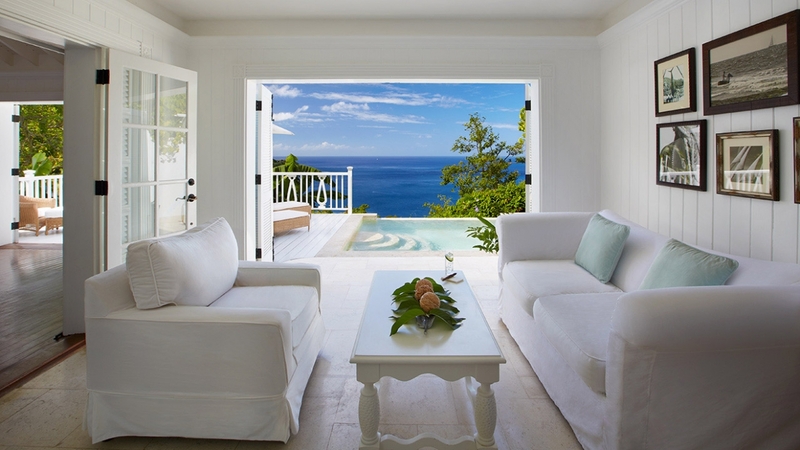 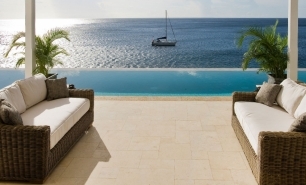 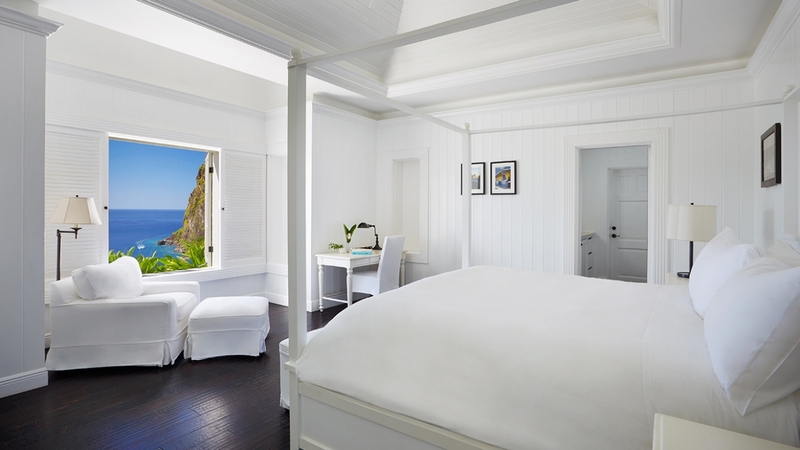 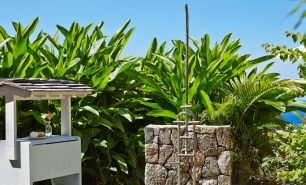 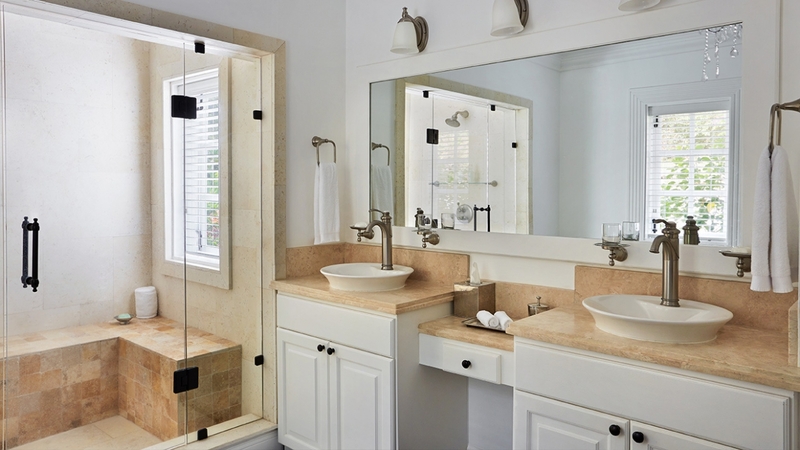 The Resort has 59 villas, 8 beachfront bungalows, and 11 Sugar Mill rooms. 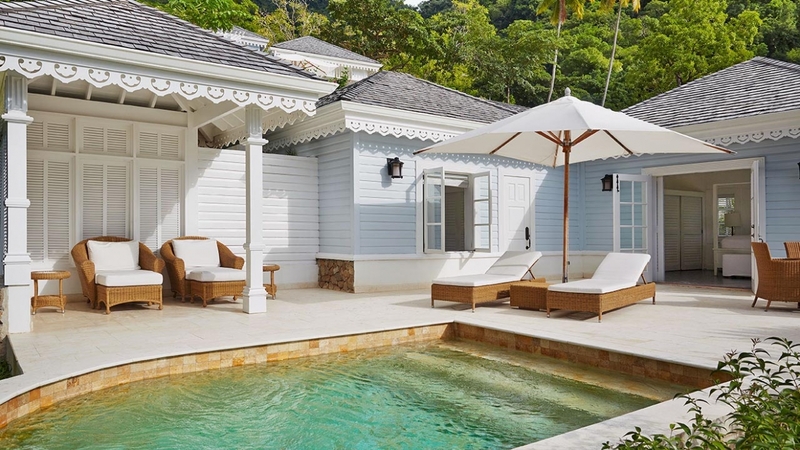 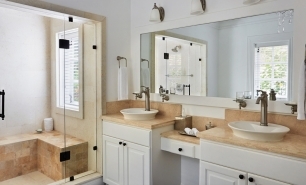 The Luxury Sugar Mill rooms, although the smallest category of room, do offer the most secluded and elegant accommodations, some of which come with a plunge pool and gardens. 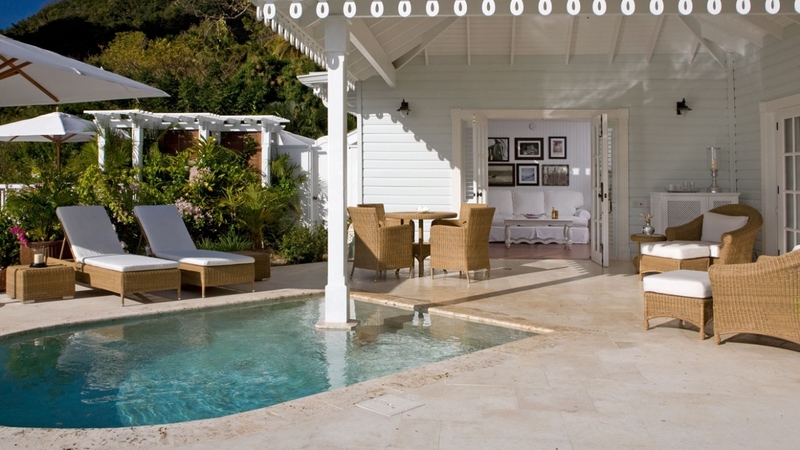 The Superior Luxury Sugar Mill Rooms have the added benefit of a private roof terrace. 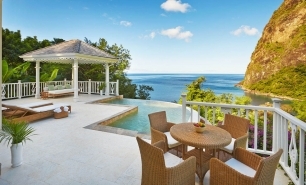 The much more spacious villas with pools (71sqm – 173sqm including 25sqm decks) are located on the hillside and offer excellent views. 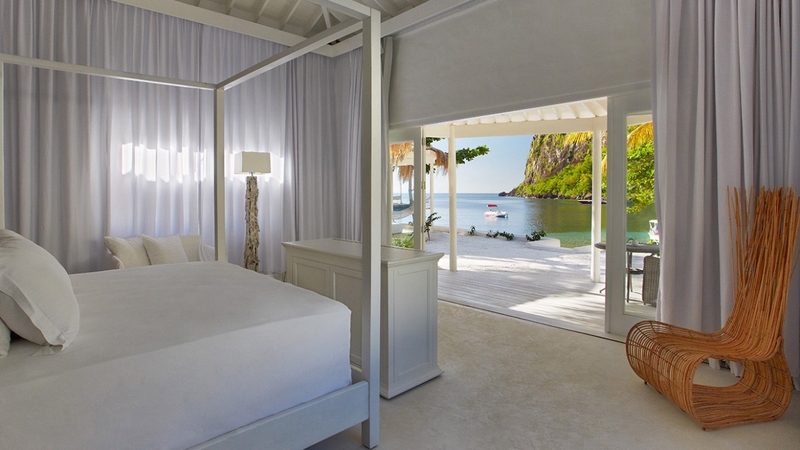 The new Luxury Beachfront Bungalows are smaller (67sqm interior/38sqm external space) although their smaller size is compensated for by their proximity to the beach. 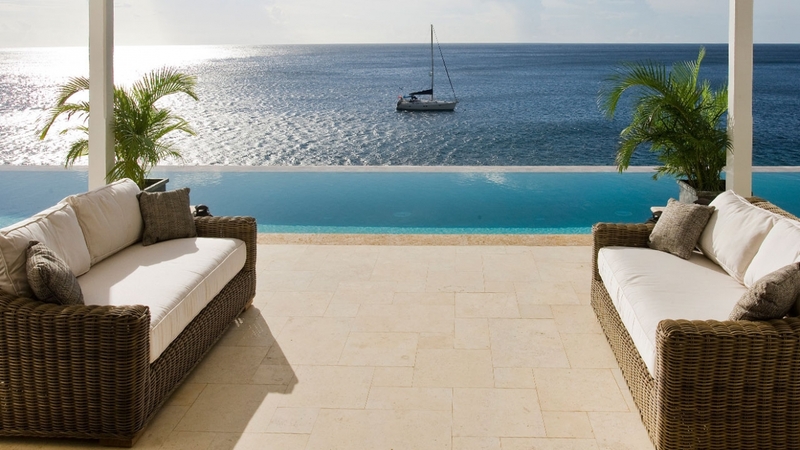 For ultimate luxury, there are the Residences with expansive sun terraces. 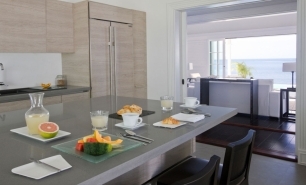 Two, three, four, and five bedroom options are available making the Residences the perfect choice for families. 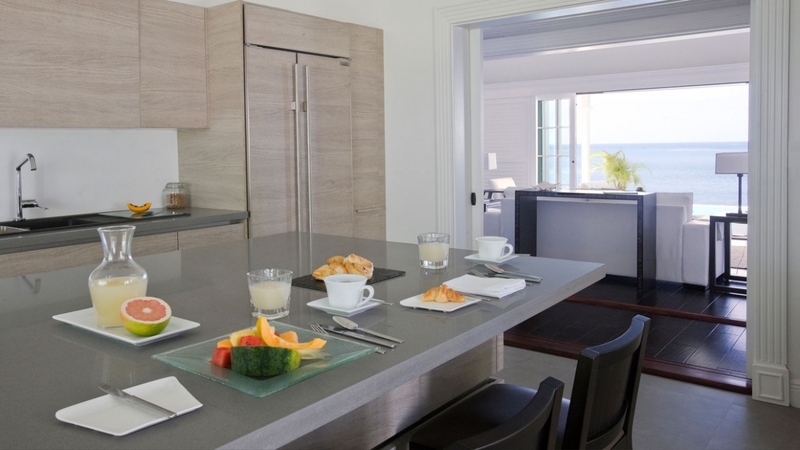 Dining options include the Great Room; an upscale Caribbean bistro-and Bayside Restaurant, a casual waterfront restaurant. 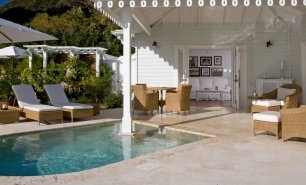 There is also The Terrace, a venue overlooking the historic sugar-mill ruins which is open for breakfasts. 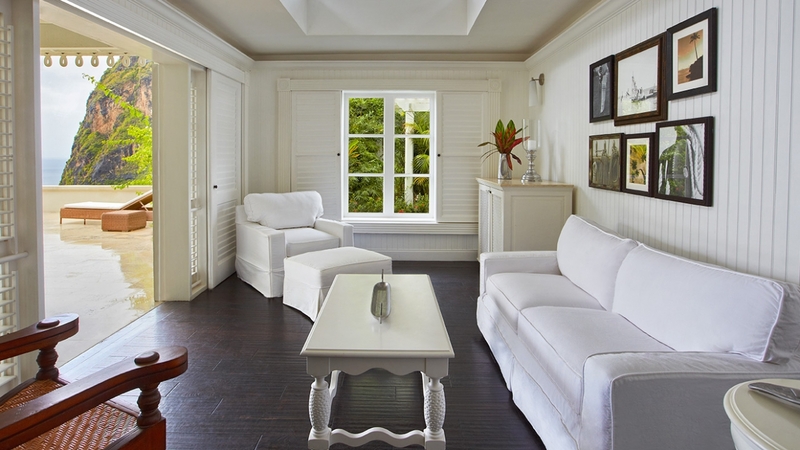 The Great Room is designed in an Old World colonial French-Caribbean style and serves Caribbean-influenced cuisine. 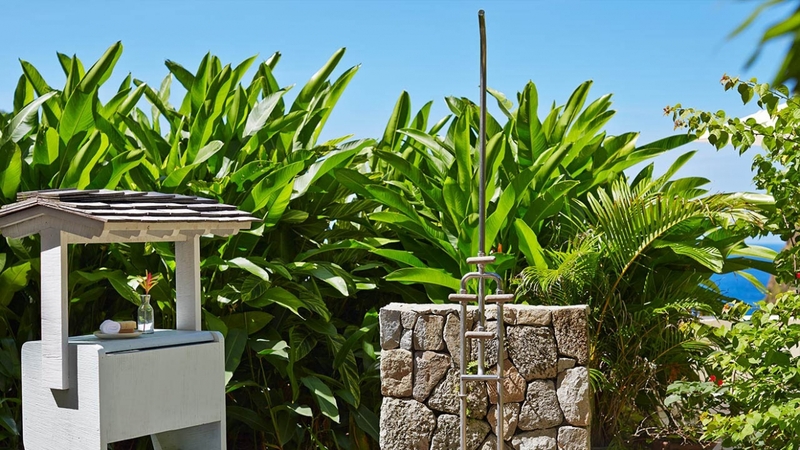 The Cane Bar offers a variety of international dishes from fresh sashimi and sushi to beef and vegetarian satay. 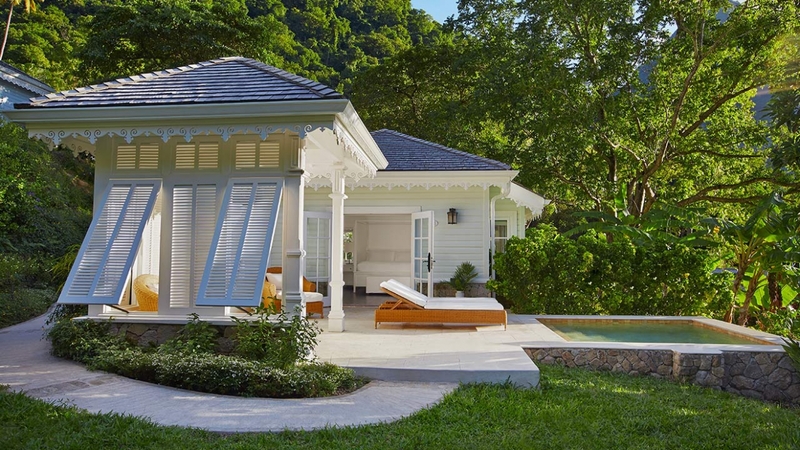 A nearly 10,000sqf spa has also opened with 7 tree-house-style treatment rooms. 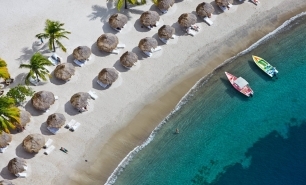 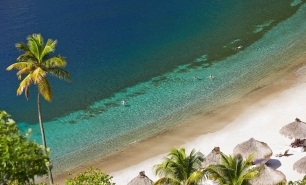 The resort also offers diving classes and snorkeling excursions. 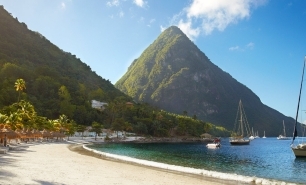 Other activities offered include water sports including: windsurfing, sailing, and kayaking; trips to La Soufriere Volcano. 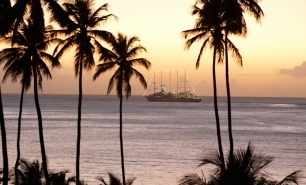 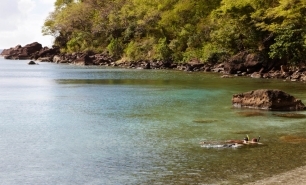 The hotel also organises trips to the island's historic capital, Castries. 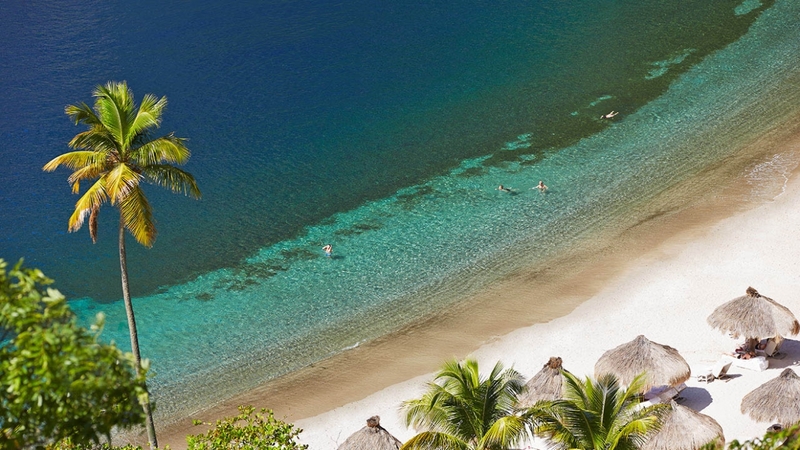 January to April is the dry season and the most popular time to visit. 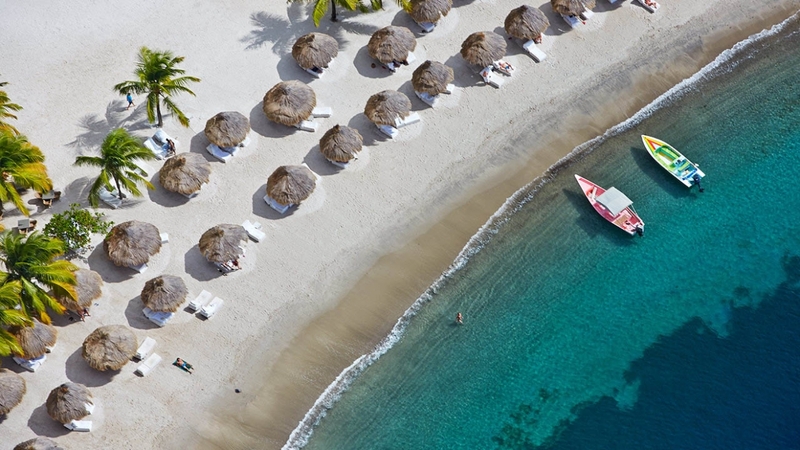 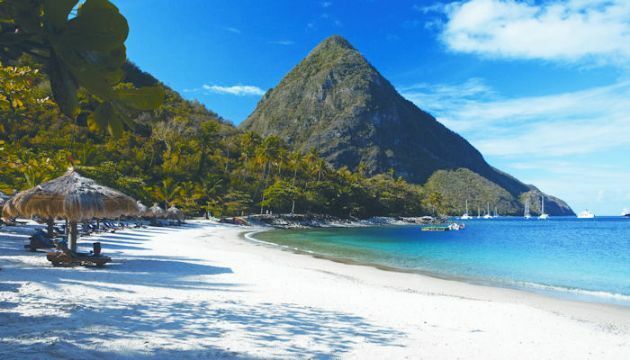 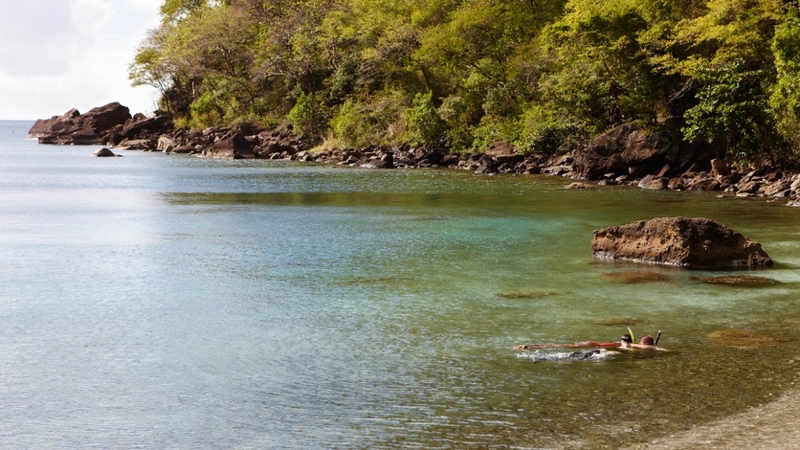 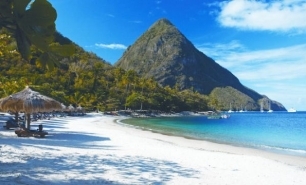 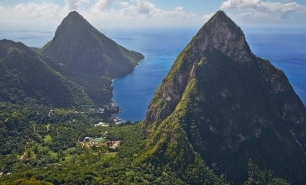 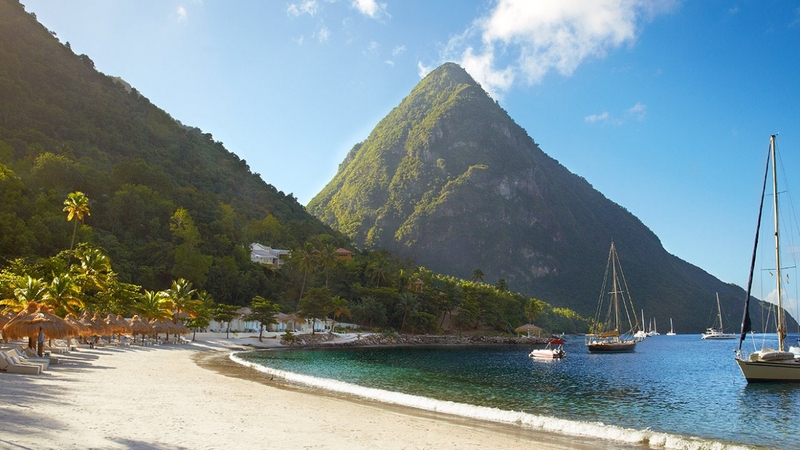 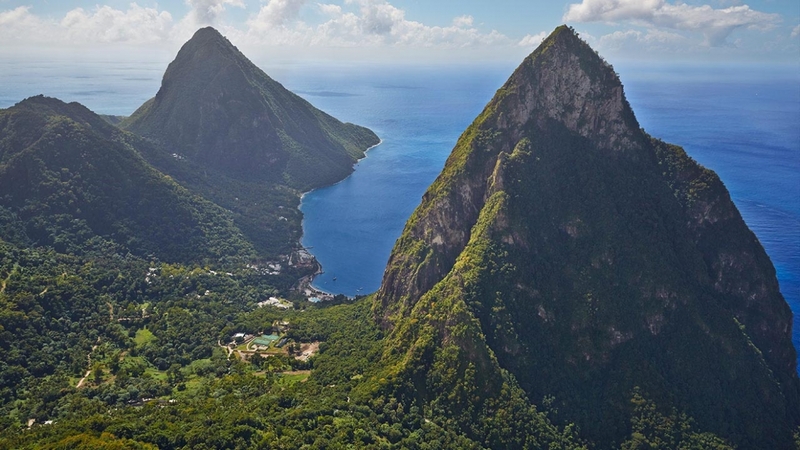 However, St Lucia is a year-round destination with temperatures ranging between 20 and 30oC throughout the year. 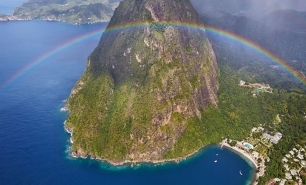 The rainy season runs from June - November and this is also when hurricanes may hit the island.